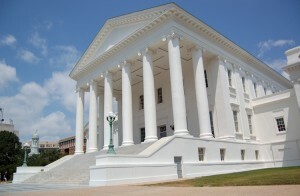 Richmond, VA – Today the Senate of Virginia passed SB131 ( Stanley/Obenshain) , which creates education improvement tax credits for private school scholarships for needy and at-risk students. “This bill is an historic beginning in changing the way we educate those who face the greatest academic challenges,” said the bill’s sponsor Senator William Stanley of Virginia’s 20th District. He continued, “This bill will encourage local businesses and individuals to direct their hard-earned dollars to help provide for the educational needs of those who need it most in their own communities. The provisions of this bill will give low-income and others dealing with great challenges unique opportunities achieve in ways they could have never before imagined. We have heard for quite a while from many that it takes a community to raise and educate a child, and paradoxically the burden has been placed on the state to do just that with tax payer dollars managed by a distant government agency. This bill will initiate the real change needed to encourage investment by offering solutions tailored to solve specific problems as determined by those closest to the situation,” Stanley stated.